One of the treatments for Interstitial Cystitis is to take an oral pill called Elmiron. Taken daily, Elmiron can help relieve painful and uncomfortable bladder symptoms; however, this treatment can take several months to really start making a difference in your lifestyle. 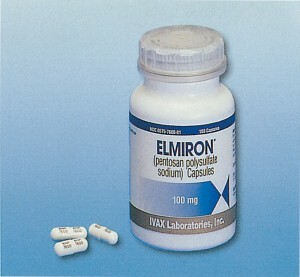 Oftentimes, Dr. Davis will recommend Elmiron Instillations along with an oral dose. These treatments deliver the medicine directly into your bladder and can help you gain control over your Interstitial Cystitis symptoms much quicker. Before your Elmiron Bladder Instillation you will need to empty your bladder. Once in the procedure room, you will undress from the waist down and sit in the treatment chair. Our medical staff will rotate the chair backwards about 45 degrees so your feet are angled toward the air and your head is toward the ground. Once positioned, we clean the area around your urethra, use a numbing solution, and insert a small catheter into your bladder. Once inserted, we will quickly send the Elmiron solution down the tube and let it fill your bladder. Afterward, the catheter is removed and the chair is returned to its normal position. The procedure only takes a moment. The Elmiron treatment needs to be held inside your bladder for four hours. After the four hour mark, you are free to use the bathroom as needed. If you cannot make it the entire four hours, that’s okay, but the longer you hold it in the better. Bladder instillations are frequent at first but decrease in frequency as your Interstitial Cystitis symptoms begin to improve. The instillation treatment is not painful, but it can be uncomfortable. We recommend taking it easy with fluids on the day of an instillation and avoid those trigger foods (coffee, soda, etc) so that you can make it the entire four hours.